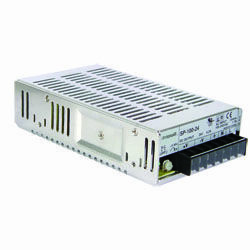 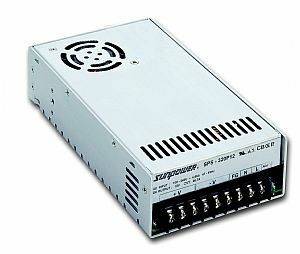 DR-15 Series is a 12W~15W single output Class II DIN Rail power supply with no load power consumption <0.5W and available in output voltages of 5V, 12V, 15 & 24V. 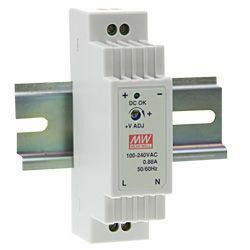 With operating temperatures of -20°C ~ 60°C, cooling by free air convection and capable of being installed on DIN rail TS-35/7.5 or 15 this unit has a variety of applications. 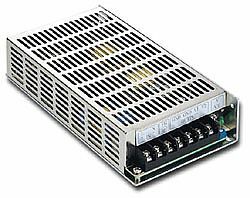 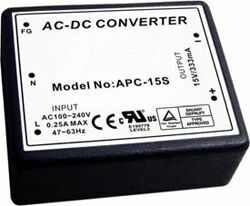 DR-15 Series also complies with global safety and EMC requirements as per UL60950-1, TUV EN60950-1, and EN55022/EN61204-3 Class B.